Dr. Kim joined the School of Pharmacy in July 2011. As an Clinical Assistant Professor in Pharmacy Practice, she assists the School by preparing, planning and presenting instruction to the students both in the classroom and at a practice site. 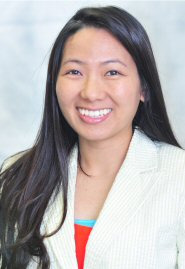 Before joining FDU, Dr. Kim completed a year of general pharmacy practice residency at Sinai Hospital of Baltimore followed by a year of specialty residency at University of Maryland. She also has a background in psychiatric specialty pharmacy. Dr. Kim enjoys educating future pharmacists who will explore and boldly step into different areas of pharmacy and be leaders of life-saving effort.